Every March, Hollywood has their most prestigious awards show, the Academy Awards. 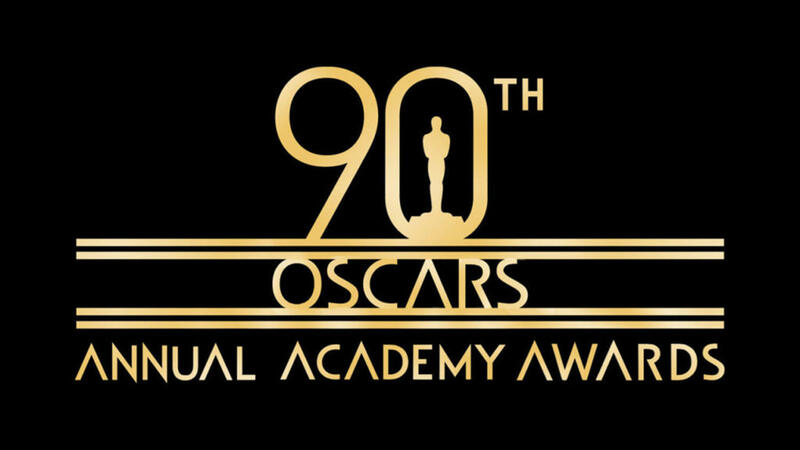 The Academy Awards, also referred to as the Oscars, give critics, actors and filmmakers an opportunity to be rewarded for their achievements in the past year’s array of films. Based on the results of previous award shows like the Golden Globes and the Screen Actors’ Guild (SAG), as well as patterns in voting by the Academy in previous years, educated predictions on this year’s winners can be made. “Three Billboards Outside Ebbing, Missouri” is fantastic. The cast is great and the screenplay is genius. This film does something most cannot accomplish, being unpredictable. Every time you think a character will do something, they do the opposite. Its unpredictability, it’s hard hitting themes, the cast, and the no holds barred script make it the best film of the year. “The Shape of Water” is a beautiful love story. Guillermo del Toro makes debatably his greatest film to date as he brings his creative style to a fairy tale. The film is literally a love story between a mute girl and a water creature, and yet the film is great. It is a great tale of two falling in love, although in an unorthodox way. “Call Me by Your Name” is, like “The Shape of Water,” a love story. It follows teenager Elio Perlman as he falls in love with one of his father’s students, Oliver. Unlike most love stories as there are obstacles they must overcome, their only obstacle is time. As you’re witnessing two people fall in love, you know in the back of your head they will never see each other again, which makes you connect with them even more. With a wonderful cast and screenplay, “Call Me by Your Name” is a great film. “Lady Bird” follows a teenage girl, Christine “Lady Bird” McPherson, as she goes through a tough senior year of high school in Sacramento. The film is so smart in its storytelling and makes the characters so relatable to any person that was a teenager. It is a great film, and very timely for today’s teenage life and society. “Get Out” stars Daniel Kaluuya as Chris Washington. (Daniel Kaluuya) as he goes to meet his caucasian girlfriend’s family. Early on he realizes something is not right about the family. The film makes you feel very anxious as you watch Washington go through a series of terrible events. The acting is great. Also, it is extremely original. The film is very timely due to its social commentary, as well as it being a great horror/thriller. “Dunkirk” is different than most other World War II films. It follows the story of civilian vessels that helped evacuate allied troops on the beaches of Dunkirk. Christopher Nolan, the director, continues his streak of technical masterpieces. Also most war epics follow a specific character or group’s survival during battle, but this is two hours of pure war. There is barely any character development, but that makes it more realistic. In war, not one person is more meaningful than the other, it’s just the will to survive.“Dunkirk” makes you feel you are in the midst of war. “Darkest Hour” follows Winston Churchill (Gary Oldman) as he, within his first days as Prime Minister of Great Britain, is forced to decide between exploring a treaty with Nazi Germany or sticking to his beliefs and fighting them. The production and costume design of England is beautiful and Oldman’s performance is fantastic, helping elevate an alright film. “Phantom Thread” follows Reynolds Woodcock (Daniel-Day Lewis), a renowned dressmaker, that is the center of fashion in Great Britain. He works with his sister (Lesley Manville), but after falling in love with a girl, his life changes. Day Lewis is very good in the film as well as Lesley Manville as Reynold’s sister Cyril. The costume design is beautiful and the performances are realistic, but it is not deserving of a Best Picture nomination. The Washington Post. As problems between The Washington Post and the government arises, Graham must fight for her rights. Her co-star, Tom Hanks, is good and it is directed by Steven Spielberg which automatically give it a chance for Oscar contention. 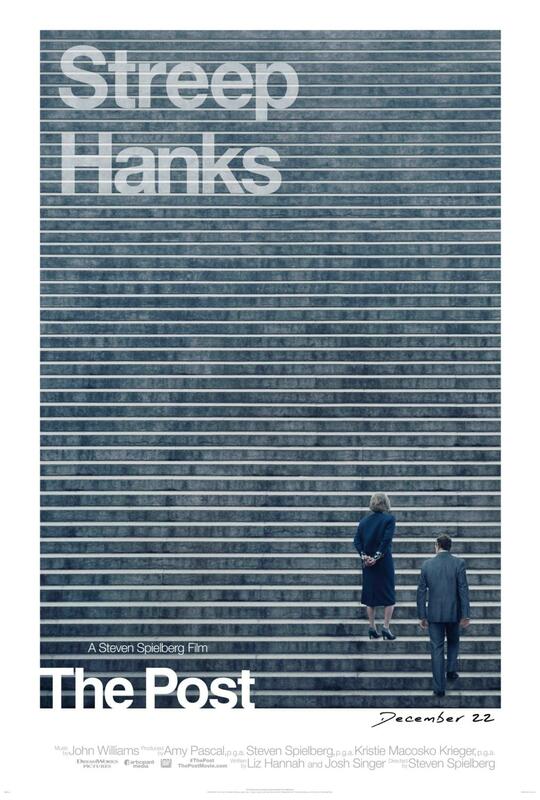 The film does have good performances by the leads, but overall this film was made purely for The Academy Awards. It is not a great film, and it will not win the award. The Academy Award for Best Motion Picture could go to a bunch of the nominees. Depending on the Academy’s love for “Get Out,”it has a chance to win but right now it seems unlikely. “Call Me by Your Name” is an excellent love story, but it is overshadowed by another love story, “The Shape of Water.” On the other hand, “Three Billboards Outside Ebbing, Missouri” has won almost every best film award in other award shows. “Three Billboards Outside Ebbing, Missouri”is an amazing film and will win the Oscar for Best Motion Picture. Guillermo del Toro, the director known for “Pan’s Labyrinth” and “Hellboy,” received his first Oscar nomination for “The Shape of Water.” Guillermo adds his creative touch to a love story. His ability to bring the make the screenplay believable in the film is enough to win the award. 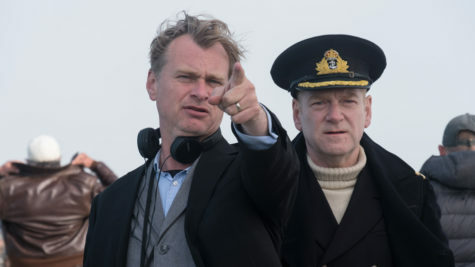 Christopher Nolan, the director known for “The Dark Knight” and “Inception,” received his first directing Oscar for “Dunkirk.” Nolan’s ability to create large-scale, heart-racing scenes made the viewer feel like they are in the midst of World War II. Nolan is a master in technical filmmaking, and his talents are brought to their full potential. Jordan Peele, known for his comedy skits on Comedy Central’s “Key and Peele,” received his first directing Oscar nomination in his directorial debut for “Get Out.”. The social commentary of the film makes it extremely timely, but is difficult to pull off without hitting you over the head with it. Peele did a fantastic job, especially for his first directed film. Greta Gerwig, known for her acting in films such as “20th Century Women” and “Frances Ha,” received her first directing Oscar for “Lady Bird.” Gerwig, knowing the importance of a great director, did a nice job of implementing the script. Paul Thomas Anderson, the director known for “There Will be Blood” and “Magnolia,”received his second directing Oscar for “Phantom Thread”. Anderson is the only director this year that has previously been nominated for the award. He is one of the great directors of this generation, but was deserving of the nomination. Gary Oldman (previously nominated for one Oscar) literally and figuratively transforms into Winston Churchill, a former Prime Minister of Great Britain during WWII, in “Darkest Hour”. 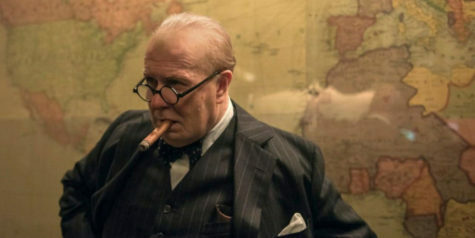 Oldman is unbelievable as Churchill, you forget their is an actor on the screen. He is fantastic in the film, and it is undoubtedly his career defining performance. Timothée Chalamet (first Oscar nomination) plays a teenager, Elio Perlman, that falls in love with an older man that is living with his family over the summer in Italy in “Call Me by Your Name”. Chalamet puts on a magnificent performance as he struggles to deal with the idea of the summer being over and losing his lover. Daniel-Day Lewis (previously winning three Oscars) plays esteemed English dressmaker Reynolds Woodcock in “Phantom Thread.” Although being a bachelor for most of his adult life, he meets a woman and falls in love. Day Lewis has since decide to (at least temporarily) retire from film, so this might be his last. Day Lewis was good, but he got the nomination because of his reputation. Daniel Kaluuya (first Oscar nomination) plays Chris Washington, an African-American man, who goes to visit his Caucasian girlfriend’s house to meet his parents. After realizing the deep rooted racial issues in their family, he wants to get out of there. “Get Out”. His performance brings you to the edge of your set as he gets more suspicious throughout the film. Kaluuya is great in the film. Denzel Washington (previously winning two Oscars) plays Roman J. Israel as a driven defense attorney in “Roman J. Israel, Esq”. Washington is good in the film, as always, but his performance is not Oscar worthy. The Academy Award for Best Lead Actor is relatively easy to predict. Gary Oldman’s performance is far ahead of every other performance, and it has swept every lead actor award thus far. The dark horse, although a slight chance of winning, is Timothée Chalamet. Gary Oldman in “Darkest Hour” will win the Oscar for Best Lead Actor. Frances McDormand (previously winning one Oscar) plays Mildred Hayes, a vengeful mother that will do anything to get answers for her murdered daughter, in “Three Billboards Outside Ebbing, Missouri”. McDormand immerses herself into Hayes, it is the most realistic performance of the year. Hayes is so full of pain and is afraid to let anyone hurt her, and it was the perfect performance from McDormand. Sally Hawkins (previously nominated for one Oscar) plays the mute janitor Eliza Esposito that falls in love with a water creature in “The Shape of Water”. Hawkins had the extremely difficult task of playing a protagonist that does not speak. Her facial and bodily expressions tell exactly what she is thinking. Hawkins is fantastic. Saoirse Ronan (previously nominated for two Oscars) plays a teenager, Christine McPherson, going through an eventful senior year. Ronan is so lovable throughout the film, it is impossible not to connect with her character. Margot Robbie (first Oscar nomination) plays the controversial ice skater Tonya Harding in “I, Tonya”. Robbie plays the real-life character very realistically. Robbie usually does not take on Oscar worthy roles, but her performance is great. Meryl Streep (previously winning three Oscars) portrays Katharine Graham, the first female publisher of a major american newspaper, The Washington Post, in “The Post”. Streep gets her annual Oscar nomination, but is not in discussion to win. The Academy Award for Best Lead Actress is, like a lot of other Oscars, are a two-horse race. Sally Hawkins and Frances McDormand are far ahead of the other three nominees. 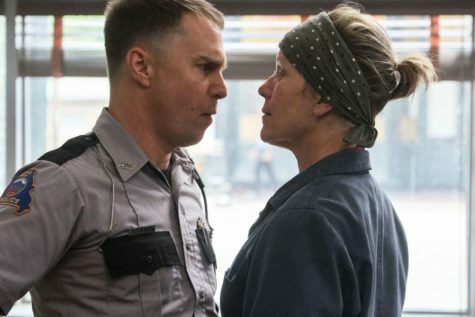 McDormand has won the award from the Screen Actors Guild, but Hawkins is getting a lot of support from critics. Although Hawkins is gaining lots of support, Frances McDormand will win the Oscar for Best Lead Actress. Sam Rockwell (first Oscar nomination) is fantastic as Officer Jason Dixon in “Three Billboards Outside Ebbing, Missouri”. Dixon is a racist cop known for his mistreatment of african-americans. Dixon deals with his deep personal issues throughout the film that Rockwell plays brilliantly. Rockwell is deemed with the task of taking such a hated character and turning him into a beloved one, he portrays it with perfection. Willem Dafoe (previously nominated for two Oscars) is great as Bobby, a hotel manager, in “The Florida Project”. Dafoe plays a strict manager, but underneath his seemingly hard exterior there is lots of compassion and kindness. He is great, but the film he is in has not received the attention by the Academy most thought it would. Richard Jenkins (previously nominated for one Oscar) plays Sally Hawkins’ neighbor and failing artist Giles in “The Shape of Water”. Jenkins is thrown into helping his neighbor in protecting the creature while dealing with his own personal demons. Jenkins plays his troubled but kind character perfectly. Woody Harrelson (previously nominated for one Oscar) plays Chief Willoughby in “Three Billboards Outside Ebbing Missouri.” Unlike Rockwell’s character, Harrelson portrays “good cop” that is unfairly blamed for the lack of arrests against Frances McDormand’s daughter. He portrays a good man that is going through tons of personal pain in a very convincing way. Christopher Plummer (previously winning one Oscar) plays the billionaire grandfather that refused to pay the ransom for his 16-year old grandson that was kidnapped in “All the Money in the World”. His character delves deep into the power of greed. Kevin Spacey was originally supposed to play the character, but at the last moment Plummer took his job, making his performance even more impressive. The Academy Award for Best Supporting Actor is very closely contested. Christopher Plummer and Woody Harrelson are both great, but it seems there is an unlikely chance of either actor winning. Richard Jenkins is a dark horse as it depends on the Academy’s love of “The Shape of Water.” The two front runners are Willem Dafoe and Sam Rockwell. Both portray characters that are tough on the outside, but are compassionate on the inside. Willem Dafoe has a chance of winning; however, due to other academies previously awarding Rockwell, he will likely win the Oscar for Best Supporting Actor. Allison Janney (her first Oscar nomination), transformed herself in “I, Tonya.” As Tonya Harding’s overly competitive mother, LaVana Harding, Janney gives a shocking performance. The things she does to her daughter are horrible, and she portrays her character perfectly. Janney, plays the the mother of the main character in “Lady Bird.” Metcalf is brilliant in her supporting role, yet doesn’t steal the spotlight from Saoirse Ronan. Octavia Spencer (previously nominated for two Oscars) is Zelda in “The Shape of Water,”the other janitor that works with Eliza Esposito (Sally Hawkins). She is like a sister to Hawkins and helps her through her tough situation. As always, Spencer gives a solid performance. Lesley Manville (her first Oscar nomination) is intricate and well-played, as esteemed dressmaker Reynolds Woodcock’s sister Cyril in “Phantom Thread.” Manville plays, although not the focal character, the behind-the-scenes genius of the operation and keeps her brother in check. Manville is very good, but is not in the discussion for the award. Mary J. Blige (first Oscar Nomination) is better known for her singing career, but makes a good performance in “Mudbound”. She is very strong and independent but is caring all the same, very impressive for a non-actor. Blige is good in the film. 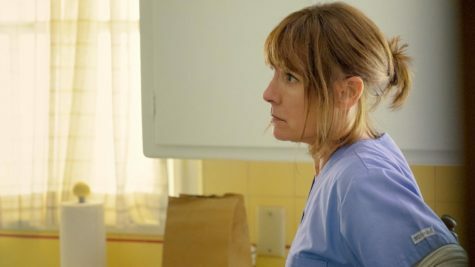 The Academy Award for Best Supporting Actress comes down to Allison Janney and Laurie Metcalf. Both play mothers and both play a very impactful role on their daughter’s lives. The other three performances are also good, but not as good as the first two. Although Laurie Metcalf is excellent in “Lady Bird”, Allison Janney will win the Oscar for Best Supporting Actress in “I, Tonya”. “Get Out” has a great screenplay, but more importantly, it is the most original out of the five. Jordan Peele (first Oscar nomination) used all his creative tools to write a great film that combines current social issues with a horror/thriller. “Three Billboards Outside Ebbing, Missouri” has extremely smart writing. Without Martin McDonagh’s (previously nominated for one writing Oscar) screenplay, the development of the characters and the plot would not be as intriguing. The film relies on the audience being invested into the characters to make it great. “Shape of Water” is very unique. Guillermo del Toro (previously nominated for one writing Oscar) writes a difficult screenplay as the protagonist does not talk. 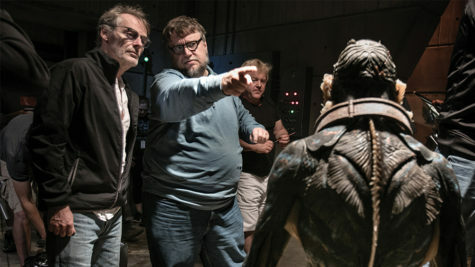 This forced Del Toro to find another way for the audience to connect through different situations and other characters around the protagonist. “Lady Bird” relies on the screenplay to advance the narrative. 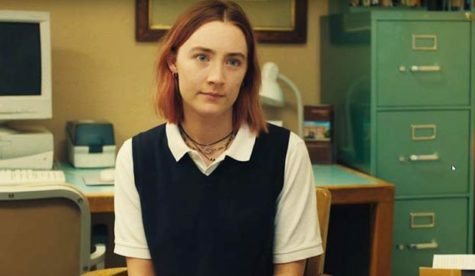 For the audience to connect to Christine “Lady Bird” McPherson and her mother, the script had to be convincing. Greta Gerwig (first Oscar nomination) wrote an excellent screenplay. “The Big Sick” has a smart screenplay, but is outshined by the other four nominees. The film was considered to be a disappointment in this year’s awards as it did not receive a lot of attention. Emily V. Gordon (first Oscar nomination) and Kumail Nanjiani (first Oscar nomination) did a good job, but will not win the award. In the Academy Award for Original Screenplay, four of the five films could easily win this award. 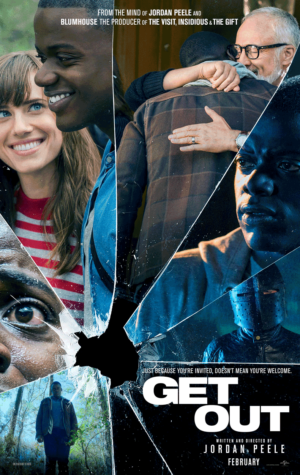 Although most have “Three Billboards Outside Ebbing, Missouri” winning, “Get Out” is going be rewarded for its views on social issues and its originality. “Shape of Water” might win, depending on the love it receives throughout the ceremony, and “Lady Bird” has received lots of love by critics. All of that said, “Get Out” will win the Oscar for Best Original Screenplay. Blade Runner 2049 is mind blowing as Roger Deakin’s excellence is on display in this picasso. Deakins (previously nominated for 13 Oscars) uses exemplary camera work to design this depiction of a dilapidated Los Angeles. Dunkirk has great landscapes that persuade the audience they are in the midst of war. Hoyte van Hoytema (first oscar nomination) has worked with Christopher Nolan on previous projects, and they capture all of the epic. The Shape of Water is beautiful although in a relatively small set compared to the first two nominees. Dan Lausten (first oscar nomination) working along with director Guillermo Del Toro creates a believable and stunning looking film. Mudbound is a gorgeous film. The land the character’s reside on is great and that is all due to cinematographer Rachel Morrison (the first woman nominated for cinematography). Darkest Hour realistically portrays a post-WWII Great Britain. Bruce Delbonnel (previously nominated for four Oscars) did a good job of bringing the audience back in time. The Academy Award for Achievement in Cinematography, unlike most awards, has all five nominees in contention. Roger Deakin’s work for Blade Runner 2049 is magnificent, but at the same time Dunkirk is also a beautiful film. Shape of Water is stunning, as well as Mudbound and Darkest Hour also having a chance. Shape of Water has the advantage of being most nominated out of the five, but the Academy may also want to award Roger Deakins for his contributions to film. The five all have good cinematography, but Blade Runner 2049 will win the award. “Blade Runner 2049” is a masterpiece in Computer Generated Imagery (CGI). 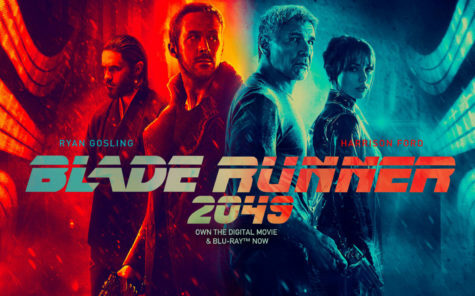 John Nelson (a previous Oscar winner) worked to bring the setting of a dystopian Los Angeles to life using geniusly generated set pieces and vibrant colors. 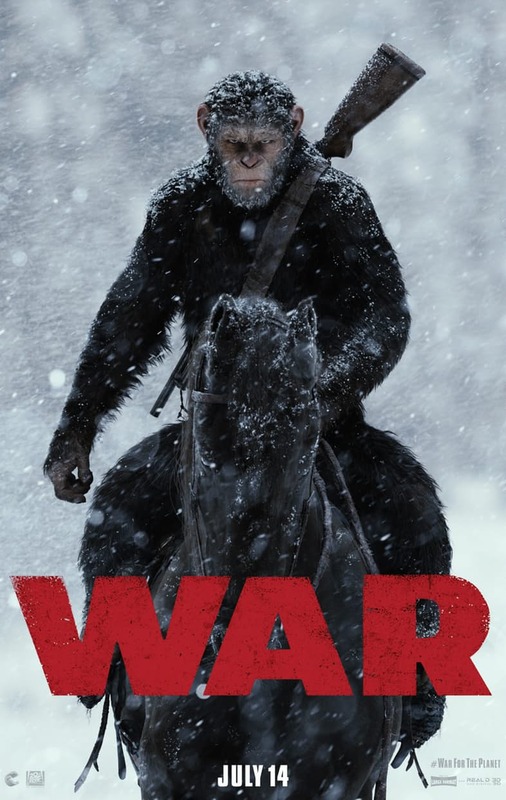 “War for the Planet of the Apes” advances the possibilities for Motion Capture through its portrayal of the apes. Andy Serkis (plays the main ape Caesar), as well as the rest of the actors playing apes, undergo the motion capture process to make the some of the most realistic-looking animals brought to screen. Visual Effects Director Joe Letteri (previously winning four Oscars) bring the apes to life with his precise computerized design of them. “Star Wars: The Last Jedi” incorporates intricate spaceship designs with expansive landscapes to create a great looking film. Visual Effects Supervisor Ben Morris (previously winning an Oscar) makes space look real and fake creatures come off the screen. “Kong: Skull Island” looks very good with amazing monster creations as well as beautifully generated scenery. Visual Effects Supervisor Stephen Rosenbaum (previously winning two Oscars) made Kong come to life as well as the rest of Skull Island. “Guardians of the Galaxy Vol. 2” uses CGI both frequently and effectively to create a fun space adventure. The abundance of CGI used in the film by Christopher Townsend (previously nominated for two Oscars) and his team make film visually appealing. The Academy Award for Achievement in Visual Effects is a two-horse race between “Blade Runner 2049” and “War for the Planet of the Apes”.The other films have the typical high quality big budget effects, but Blade Runner 2049’s and War for the Planet of the Apes’ have a large impact on a film. Both have outstanding effects, but John Nelson and his team will win the Academy Award for Blade Runner 2049. “Call Me by Your Name” and “The Disaster Artist” are the two top competitors for the Best Adapted Screenplay. “The Disaster Artist” did not receive a lot of support from the Academy so it gives “Call Me by Your Name” the edge. “Molly’s Game” is written by Aaron Sorkin, an esteemed screenwriter, so there is a possibility they give him a second Oscar. “Logan,” the first superhero film to be nominated for a screenplay award, and “Mudbound” have no chance of winning because of the Academy’s lack of appreciation for superhero and Netflix films. “Call Me by Your Name” will win the Oscar for the Best Adapted Screenplay. Thank you for reading Eastside’s preview to the 2018 Oscars! Be sure to vote below for your prediction for Best Motion Picture!